This is exactly what has happened to the Central Bank Governor Indrajit Coomaraswamy who had spoken as the Governor of the Central Bank and not as a politician at the launch of the Central Bank’s Road Map for 2017 a few days ago. He was praised by the private sector immediately as demonstrated by the supportive press statement issued by the country’s leading business chamber, the Ceylon Chamber of Commerce or CCC. Suspecting moves by the political authority of the day to interfere with the free decision-making process at the Central Bank, it has called the business community to support the Bank’s independence. But Finance Minister Ravi Karunanayake is reported to have expressed his anger at a subsequent media conference at certain insinuations made by Governor Coomaraswamy during his speech. Governor Coomaraswamy’s speech in question was candid, objective and impassioned unlike the speeches made by his two immediate predecessors. It did not contain political camouflage, painting a rosy picture about the soundness of Sri Lanka’s economy. He said that Sri Lanka’s economy was sick, in the hospital but fortunately not in the intensive care unit or ICU. He did not blame only the present Government for the malady, but made a general remark that it was all the previous governments that had caused the economy to be hospitalised. This summit, attended by President Maithripala Sirisena too, was addressed by Governor Coomaraswamy also on the same line. Hence, this writer, who was a panellist at the forum, praised both the Finance Minister and the Governor for speaking the same language but warned that what is being done by the Minister of Finance should not go against what the Central Bank is doing. 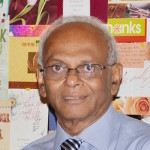 For instance, if the Central Bank has adopted a tight monetary policy measure to prevent the economy from getting overheated and thereby exploding eventually by way of continuously rising prices, the Minister of Finance should not loosen his budgetary expenditure programs by giving extra money to the hands of people. It would result in an unwelcome consequence in which the Central Bank would be forced to further tighten monetary policy to arrest the situation. The ultimate result will be that the country would get trapped in a vicious circle of ever increasing interest rates. In the first article published in August 2016 under the title ‘Be Warned! Monetary Board is losing its power as well as its independence’, this writer drew the attention of the Government to two unsavoury measures which the Minister of Finance had proposed which fell within the legitimate scope of the Central Bank. The second article published in November 2016 reviewed the budget 2017 presented by Minister of Finance to Parliament and opined that the Budget was a forward measure if not for the proposals by which he had attempted to acquire the legitimate functions of the Central Bank. The third article published in December 2016 under the title ‘ Reform the Central Bank but don’t erode its independence’ cautioned the Government that the way the Minister had proposed to reform the Bank would result in eroding its independence, an objective which the Prime Minister too had outlined previously when he presented his first economic policy statement a year ago. But the Minister or the Government does not appear to have taken these warnings seriously. Hence, it is up to civil society now, as had been voiced by CCC in the press statement quoted above, to come forward to defend the Central Bank. The Monetary Board or the Governor alone cannot do that job without such support.